MSI is now targeting niche markets with their latest laptop line-ups. Recently you saw MSI release the GT Series which is a high-end, high-powered laptop series for creative pros who need portability. Starting at $2000 they were not the most cost-effective portable workstations. MSI has a solution for that with a middle ground GP Series that's a hybrid between portable workstation and gaming laptop. The MSI GP Series still has a lot of power at its core with an Intel Core i7 or i5 Haswell processor, Nvidia GT740M, and 8 GB DDR3 RAM. You will also find many of the same high-end features from the GT Series such as the SteelSeries gaming keyboard, Sound Blaster Cinema audio, and either 17 or 16 inch display. The GP Series comes with up to a 1 TB mechanical HDD, ASW-NB1114H Gigabit Ethernet/Bluetooth combo card, but unfortunately, no back-lighting, which was cut to save you money. While it is not the full on powerhouse represented by the MSI GT Series is, the GP Series has one thing going for it which is the price. 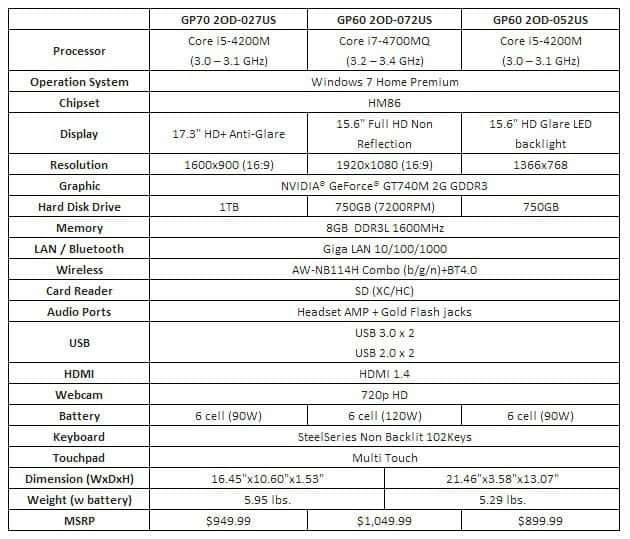 Starting at an MSRP of $899.99US (up to $1049.99 US) the GP Series is a much more affordable laptop for those who need mobile productivity on a budget. You can find the GP60 and GP70 on sale right now at all major e-tailers. More details at the press release below. 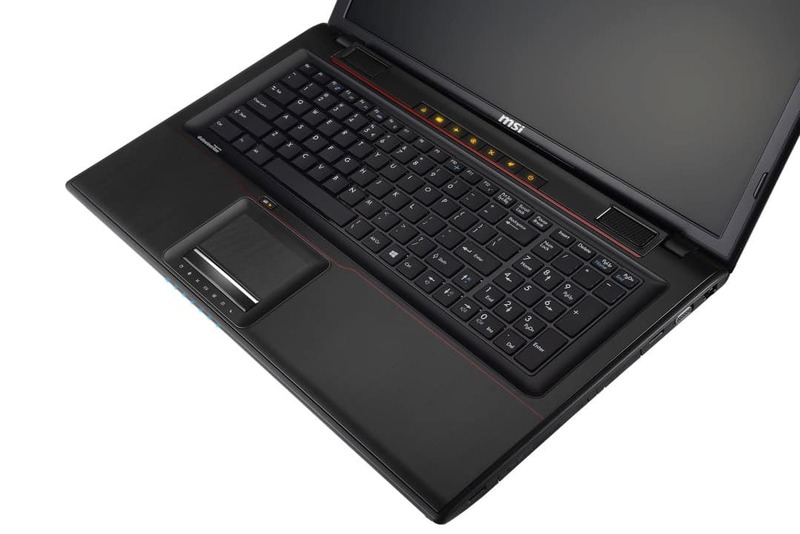 September 30, 2013 – MSI Computer Corp, leading manufacturer of computer hardware products and solutions, announces the availability of GP Series, the ideal combination of on-the-go productivity, multimedia entertainment and gaming performance. The GP Series, currently comprised of one 17-inch and two 16-inch models, come equipped with either Intel® Core™ i7 or Core™ i5 processors, NVIDIA® GeForce® GT740M graphics and 8 GB of DDR3 RAM, giving them enough power to blaze through any task. MSI’s newest laptops are also a multimedia lover’s dream, combining Sound Blaster Cinema, Matrix Display and Audio Boost technology with gold-flashed audio jacks to pump out crystal clear surround sound, connect to up to two additional monitors and maximize sound quality to create a more immersive experience. Part of MSI’s award winning line of professional and gaming notebooks, the GP Series also features SteelSeries keyboard, up to 1TB of hard disk, Gigabyte LAN network and multiple USB 3.0 and USB 2.0 ports for easy connectivity. Both the GP70 and GP60 models are currently available starting from $899.99 at all major e-tailers and retailers. For more information about the GP Series or the entire line of G series gaming notebooks, please visit www.msimobile.com or www.usgaming.msi.com.